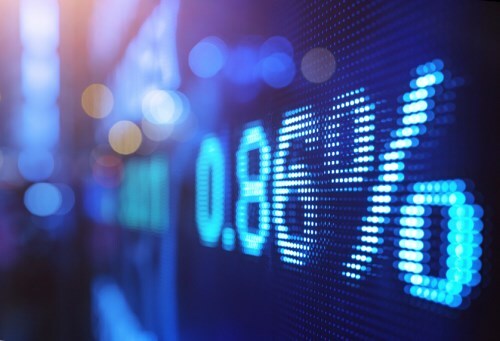 The materials group led broad gains for the main TSX index Wednesday as manufacturing producer price indexes gained in Canada and the US among others. Meanwhile, the Bank of Canada said it was keeping interest rates on hold while Fed speakers increased expectation of a March rise for US rates to enable a slow pace of increases. The main TSX index closed higher as 9 of the 10 main sector groups gained with 5 of them more than 1 per cent. Wall Street also gained with the Dow setting another new record and breaking through the 21,000 barrier. European and Asian markets closed mostly higher. Canadian asset managers Brookfield could be buying a 30 per cent stake in Brazilian energy firm Renova Energia, Reuters reports. A source close to the deal says that the deal would see Brookfield acquire 15.7 per cent of the firm from Light Energia SA and would invest additional cash, giving it a 30 per cent stake. None of the parties reported to be involved have commented but Reuters says the deal could be announced within weeks. The large capital reserves of Canada’s pension funds could partner with US funds to help with Donald Trump’s infrastructure plans, a former adviser to the president said Wednesday. Dan Slane, who was the president’s transition team director said at a conference in Montreal that he has already talked with Caisse de depot about plans to expand its investments in infrastructure globally. Canada’s trade in goods balance was in surplus for the first time in 2 years in the fourth quarter, leading to a narrower current account deficit. The current account deficit was $10.7 billion, down $9 billion on a seasonally adjusted basis compared to a year earlier. For the whole of 2016, the deficit was up $0.1 billion to $67.7 billion. Over the year, lower exports of energy products expanded the deficit for goods, but Statistics Canada reported that the gain was lessened by a lower deficit for services.